If you are dissatisfied with the Site or other Offerings, your sole and exclusive remedy is to stop using the Site or Offerings, except for the limited warranties that may apply to Ayuronics product Offerings or as otherwise expressly stated in section Five of this Agreement (Ayuronics Customer Guarantee). Ayuronics products and the Ayuronics business opportunity cannot be offered, shipped into or sold in any country outside of those countries that are previously authorized by Ayuronics. Ayuronics products and services are sold through Ayuronics network of Independent Distributors. To purchase Ayuronics goods or services, you do not have to become an Independent Distributor. If, however, you are interested in starting your own home-based business as an Ayuronics Independent Distributor, please see our Business Opportunity section. Ayuronics guarantees the quality of any product which carries the Ayuronics name and certifies that the products manufactured for it meet high standards of freshness and purity for customer use. We are confident that our customers will find our products satisfactory in every way. 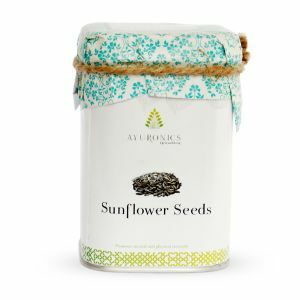 However, if for any reason, a retail customer is not completely satisfied with any Ayuronics product purchased from Ayuronics.com, we offer an exchange or a full refund (excluding shipping charges). Simply request a refund Ayuronics within thirty (30) days from your receipt of the product by contacting our Customer Service Department at Ayuronics.com. This guarantee is limited only by the terms of certain specific warranties attached to or packaged with certain products and does not apply to any product intentionally damaged or misused. Forums, bulletin boards, chat rooms or other interactive areas that are or may be offered on the Site (“User Forums”) are provided to give users a forum to express their opinions and share their ideas and information. The individual who posts content in the User Forums (“Community Content”) is responsible for the reliability, accuracy, and truthfulness of such content, and we have no control over the same. Additionally, we have no control over whether any such posted material is of a nature that users will find offensive, distasteful or otherwise unacceptable and expressly disclaims any responsibility for such material. Spamming is strictly prohibited. Spam is defined for this purpose as sending an unsolicited message to any persons, entities, newsgroups, forums, e-mail lists or other groups or lists unless prior authorization has been obtained from the e-mail recipient which explicitly permits sending e-mail communication to them, or unless a business or personal relationship has already been established with the e-mail recipient. IF YOU ARE “SPAMMED” BY SOMEONE WHO IS SELLING OR DESCRIBING AYURONICS’S PRODUCTS OR BUSINESS OPPORTUNITY, PLEASE CONTACT US PROMPTLY. The use of false headers in e-mails or falsifying, forging or altering the origin of any e-mail in connection with Ayuronics and/or its products and services is prohibited. Ayuronics prohibits engaging in any of the foregoing activities, yourself or through the service of another provider, remailer service or otherwise. This Site and all of the content it contains, or may in the future contain, including but not limited to articles, opinions, other text, directories, guides, photographs, illustrations, images, video and audio clips and advertising copy, as well as the trademarks, copyrights, logos, domain names, code, trade names, service marks, patents and any and all copyrightable material (including source and object code) and/or any other form of intellectual property (collectively, the “Material”) are owned by or licensed to us or other authorized third parties and are protected from unauthorized use, copying and dissemination by copyright, trademark, publicity and other laws and by international treaties. Unless expressly permitted in writing by us, you shall not capture, reproduce, perform, transfer, sell, license, modify, create derivative works from or based upon, republish, reverse engineer, upload, edit, post, transmit, publicly display, frame, link, distribute, or exploit in whole or in part any of the Material. Nothing contained in this Agreement or on the Site should be construed as granting, by implication, estoppel or otherwise, any license or right to use any Material in any manner without the prior written consent of us or such third party that may own the Material or intellectual property displayed on the Site. UNAUTHORIZED USE, COPYING, REPRODUCTION, MODIFICATION, PUBLICATION, REPUBLICATION, UPLOADING, FRAMING, DOWNLOADING, POSTING, TRANSMITTING, DISTRIBUTING, DUPLICATING OR ANY OTHER MISUSE OF ANY OF THE MATERIAL IS STRICTLY PROHIBITED. Any use of the Material other than as permitted by this Agreement will constitute a violation of this Agreement and may constitute copyright and/or patent infringement. You agree not to use the Material for any unlawful purposes and not to violate our rights or the rights of others. You agree not to interfere (or permit the use of your membership by a third party to interfere) with the normal processes or use of the Site by other members, including without limitation by attempting to access administrative areas of the Site. You agree to report any violation of this Agreement by others that you become aware of. You are advised that we will aggressively enforce our rights to the fullest extent of the law. We may add, change, discontinue, remove or suspend any of the Material at any time, without notice and without liability. Ayuronics, our logo, and the name of the products produced, marketed, sold or distributed by the Ayuronics, are trademarks and/or service marks of Scitra Ayuronics, or its affiliates. All other trademarks, service marks, and logos used on the Site or other Offerings are the trademarks, service marks or logos of their respective owners. We are pleased to hear from users and welcome your comments regarding Ayuronics’s services and products. Nevertheless, our long-standing company policy does not allow it to accept or consider creative ideas, suggestions, or materials other than those it has specifically requested (see below). While we value your feedback on our services and products, we request that you be specific in your comments on those services and products, and that you not submit any creative ideas, suggestions, or materials. We hope you will understand that it is the intent of this policy to avoid the possibility of future misunderstandings when projects developed by us or our affiliates’ professional staff might seem to others to be similar to their own creative work. Accordingly, we ask that you do not send us any original creative materials such as show designs, photographs, drawings, or original artwork. If you send or post certain specific submissions at our request (e.g., via message boards or in connection with contests) or if you send us creative suggestions, ideas, notes, photographs, drawings, concepts, or any other information (each, a “Submission” and collectively, the “Submissions”) despite our request that you not send us any unsolicited Submissions or other creative materials, the Submission will be treated as non-confidential and non-proprietary in each instance. For purposes of this Paragraph, all Community Content shall be deemed included in the definition of Submissions. None of the Submissions shall be subject to any obligation of confidence on the part of us, and we shall not be liable for any use or disclosure of any Submissions. Any Submission may be used by us without restriction for any purpose whatsoever, including, without limitation, reproduction, disclosure, transmission, publication, broadcast or posting, and you hereby irrevocably waive, release and give up any claim that any use of such Submission violates any of your rights, including, without limitation, copyrights, trademarks, moral rights, privacy rights, proprietary or other property rights, publicity rights, or right to credit for the material or ideas. We shall have and are irrevocably granted the right, but not the obligation, to reproduce, modify, adapt, publish, broadcast, license, perform, post, sell, translate, incorporate, create derivative works from, distribute and otherwise use the Submission in any and all media, now known or hereafter devised, throughout the universe, in perpetuity, without according you any compensation or credit. By submitting a Submission to this Site or us, you represent that such Submission is original with you and does not violate or infringe upon the rights of any third parties, including, without limitation, any intellectual property rights and rights of publicity and/or privacy. All Submissions to the Site and/or us shall be our sole property and will not be acknowledged or returned. You agree and understand that we are not obligated to use any Submission you make to the Site or us and you have no right to compel such use. You hereby acknowledge and agree that your relationship with us is not a confidential, fiduciary, or other special relationship, and that your decision to submit any material to us does not place us in a position that is any different from the position held by members of the general public with regard to your Submission. You understand and acknowledge that we have wide access to ideas, stories, designs, and other literary materials, and that new ideas are constantly being submitted to it or being developed by our own employees. Many ideas or stories may be competitive with, similar or identical to your Submission in theme, idea, plot, format or other respects. You acknowledge and agree that you will not be entitled to any compensation as a result of our use of any such similar or identical material. Finally, you acknowledge that, with respect to any claim you may have relating to or arising out of a our actual or alleged exploitation or use of any material you submit to the Site and/or us, the damage, if any, thereby caused will not be irreparable or otherwise sufficient to entitle you to injunctive or other equitable relief or to in any way enjoin the production, distribution, exhibition or other exploitation of any production based on or allegedly based on the material, and your rights and remedies in any such event shall be strictly limited to the right to recover damages, if any, in an action at law. Ayuronics respects the intellectual property of others and we ask our users to do the same. In accordance with the Copyright Act, Ayuronics has designated a Copyright Agent to receive notice of claims of copyright infringement. This Site may contain contests or other promotions that require you to send material or information about yourself. Please note that contests or promotions offered via the Site may be, and often are, governed by a separate set of rules that, in addition to describing such contest or promotion, may have eligibility requirements, such as certain age or geographic area restrictions, terms and conditions governing the use of material you submit, and disclosures about how your personal information may be used. It is your responsibility to read such rules to determine whether or not you want to and are eligible to participate, register and/or enter. By entering any such sweepstakes, contest or other promotion, you agree to comply with abide by such rules and the decisions of the sponsor(s) identified therein, which shall be final and binding in all respects. Although we attempt to maintain the integrity of the Site and other Offerings, we make no guarantee as to the accuracy or completeness of the Site or other Offerings. If you believe that you have discovered an error in the Site or other Offerings, please contact us and include, if possible, a description of the error, its URL location and your contact information. We will make reasonable efforts to address your concerns. YOU UNDERSTAND AND AGREE THAT THIS SITE AND ALL MATERIAL AND INTELLECTUAL PROPERTY CONTAINED ON IT ARE DISTRIBUTED “AS IS” “AS AVAILABLE” “WITH ALL FAULTS” AND WITHOUT WARRANTIES OF ANY KIND, EITHER EXPRESS OR IMPLIED, INCLUDING, WITHOUT LIMITATION, WARRANTIES OF TITLE OR IMPLIED WARRANTIES OF MERCHANTABILITY, NON-INFRINGEMENT OR FITNESS FOR A PARTICULAR PURPOSE OR THOSE ARISING BY STATUTE OR OTHERWISE IN LAW OR FROM A COURSE OF DEALING OR USAGE OF TRADE. SOME JURISDICTIONS DO NOT PERMIT THE EXCLUSION OF IMPLIED WARRANTIES, SO THE ABOVE EXCLUSION MAY NOT APPLY TO YOU. YOU MAY HAVE OTHER RIGHTS, WHICH VARY BY JURISDICTION. We make no representation or warranty whatsoever regarding the completeness, accuracy, currency or adequacy of any information, facts, views, opinions, statements or recommendations contained on this Site, in any Offering and/or the Material. Reference to any product, process, publication or service of any third party by trade name, domain name, trademark, service mark, logo, manufacturer or otherwise does not constitute or imply its endorsement or recommendation by us. Views and opinions of users of this Site do not necessarily state or reflect those of Ayuronics. Users are responsible for seeking the advice of professionals, as appropriate, regarding the information, opinions, advice or content available at this Site. BY USING THIS SITE YOU AGREE TO INDEMNIFY, DEFEND AND HOLD THE RELEASED PARTIES HARMLESS FROM AND AGAINST ANY THIRD PARTY CLAIMS, ALLEGED CLAIMS, DEMANDS, CAUSES OF ACTION, JUDGMENTS, DAMAGES, LOSSES, LIABILITIES, AND ALL COSTS AND EXPENSES OF DEFENSE, INCLUDING, WITHOUT LIMITATION, REASONABLE ATTORNEYS’ FEES, ARISING OUT OF OR RELATING TO: YOUR BREACH OF YOUR REPRESENTATIONS, WARRANTIES, COVENANTS OR AGREEMENTS HEREUNDER; YOUR VIOLATION OF THIS AGREEMENT OR ANY LAW; YOUR USE OF THIS SITE AND/OR THE MATERIAL IN VIOLATION OF THIS AGREEMENT; INFORMATION OR MATERIAL POSTED OR TRANSMITTED THROUGH YOUR COMPUTER OR MEMBERSHIP ACCOUNT, EVEN IF NOT SUBMITTED BY YOU, THAT INFRINGES ANY COPYRIGHT, TRADEMARK, TRADE SECRET, TRADE DRESS, PATENT, PUBLICITY, PRIVACY OR OTHER RIGHT OF ANY PERSON OR DEFAMES ANY PERSON; ANY MISREPRESENTATION MADE BY YOU; AND/OR OUR USE OF YOUR INFORMATION. YOU WILL COOPERATE AS FULLY AND AS REASONABLY REQUIRED IN COMPANY’S DEFENSE OF ANY CLAIM. COMPANY RESERVES THE RIGHT, AT ITS OWN EXPENSE, TO ASSUME THE EXCLUSIVE DEFENSE AND CONTROL OF ANY MATTER OTHERWISE SUBJECT TO INDEMNIFICATION BY YOU, AND YOU SHALL NOT IN ANY EVENT SETTLE ANY SUCH MATTER WITHOUT OUR WRITTEN CONSENT. We will determine your compliance with this Agreement in our sole discretion and our decision shall be final and binding. Any violation of this Agreement may result in restrictions on your access to all or part of the Site (including any Web Property or email address provided by the Site) and may be referred to law enforcement authorities. No waiver of any of this Agreement shall be of any force or effect unless made in writing and signed by a duly authorized officer of Ayuronics. We reserve the right to modify or discontinue this Site, or any portion thereof (including, without limitation, any particular Web Property that resides on this Platform) without notice to you or any third party. Upon termination of your membership or access to the Site, or upon demand by Ayuronics, you must destroy all materials obtained from this Site and all related documentation and all copies and installations thereof. You are advised that we will aggressively enforce our rights to the fullest extent of the law. If you have any questions, comments or concerns about our Site, any Offerings or this Agreement, you may contact us. Last Revised on July 10, 2017. © 2017 Scitra Ayuronics of M/s Scitra International, India All Rights Reserved.